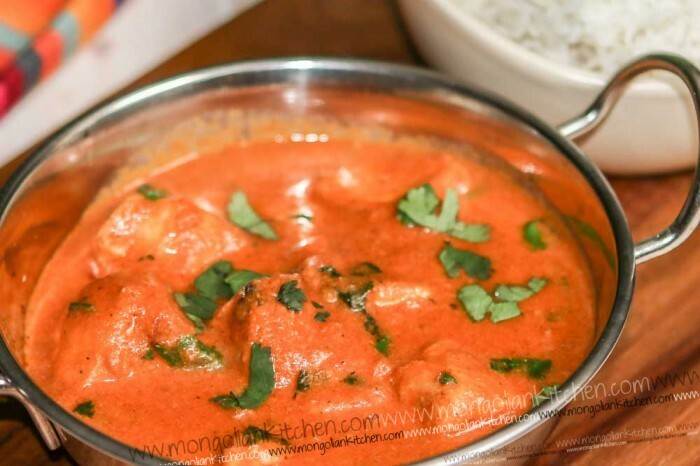 This recipe is based on the Old Delhi style butter chicken recipe featured on Saturday Kitchen by chef Vivek Singh. The recipe caught my attention because it seemed so simple, quick yet the results were delicious. Vivek claimed he couldn’t have this on his restaurant menu because most people would choose it. So, we had to try it. One of the things which attracted me to this curry recipe is the lack of onions. Anyone who knows anything about currys will tell you the key is in the onions. Getting beautiful caramelised onions takes time (up to 30 minutes at times – not to mention the tears while chopping the onions!). So with up to 30 minutes saved this had to be a quick dish. 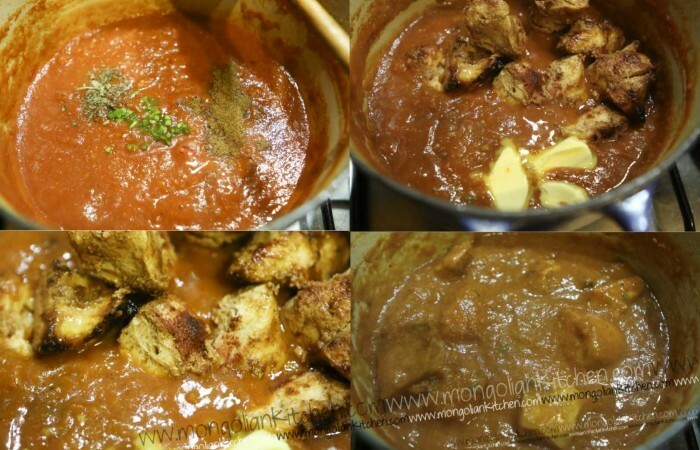 The recipe involves marinading and grilling your chicken pieces and making a seperate curry gravy. Then in the end combine the two. 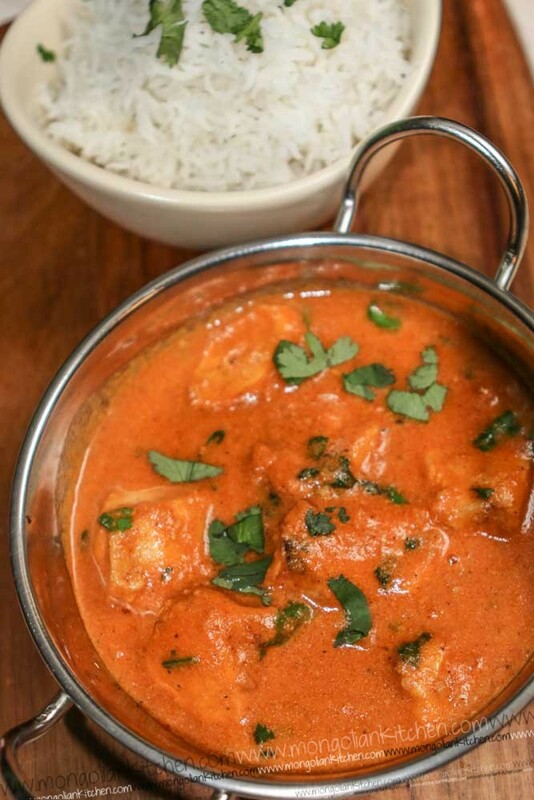 This is similar for a few of our curry recipes including Tandoor Chicken Masala and our Chicken Tikka Masala recipes. 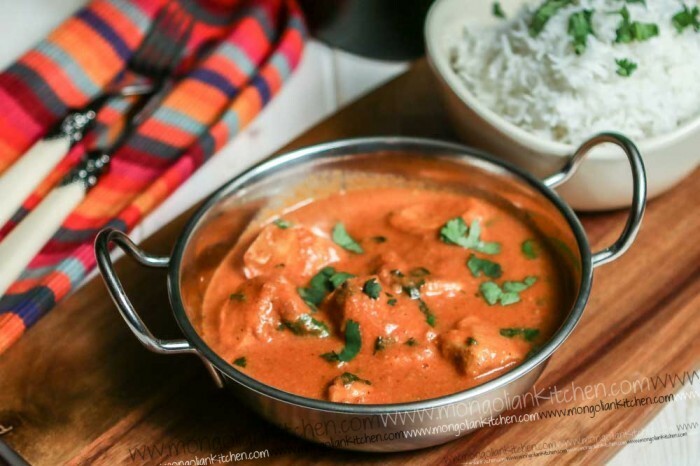 The butter chicken gravy is very simple to make too. 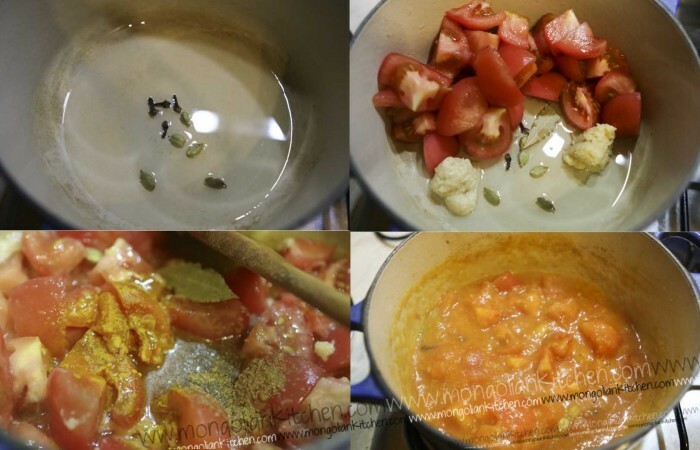 You simply cook some tomatoes with some garlic, ginger and some mild spices. 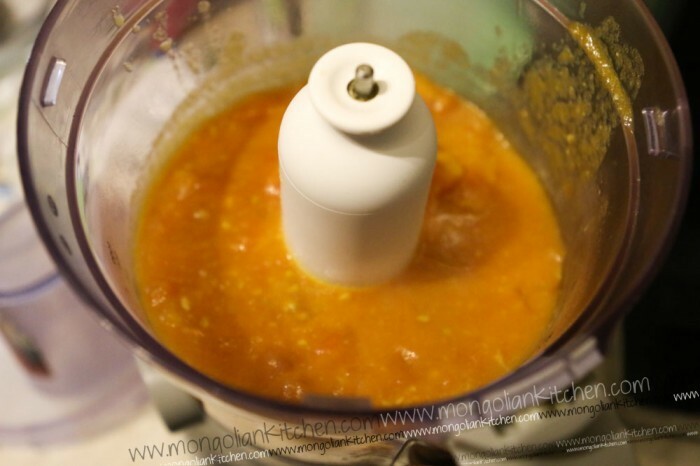 Once the tomatoes are cooked for 10 minutes you blend the sauce to make a smooth gravy. 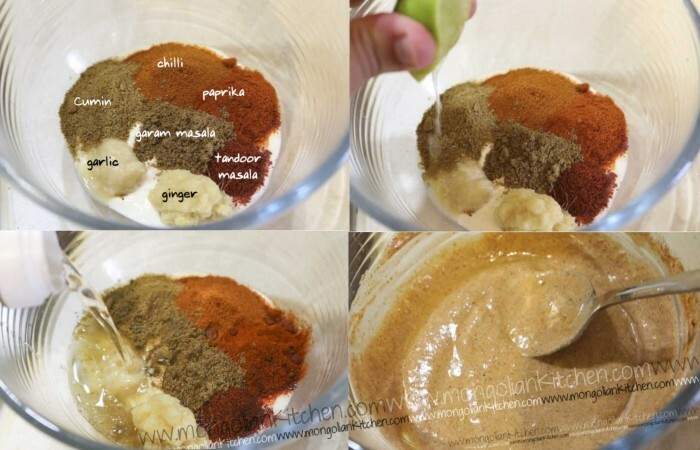 I then added some extra spices to give this curry a bit of oomphf. 1½ tsp Kashmiri chilli powder (amend according to your taste"
Simmer over a medium heat for around 10 minutes until the tomatoes have started to break down. Fish out the cloves & cardamom. Add a few sprigs of fresh coriander if desired and serve with basmati rice.